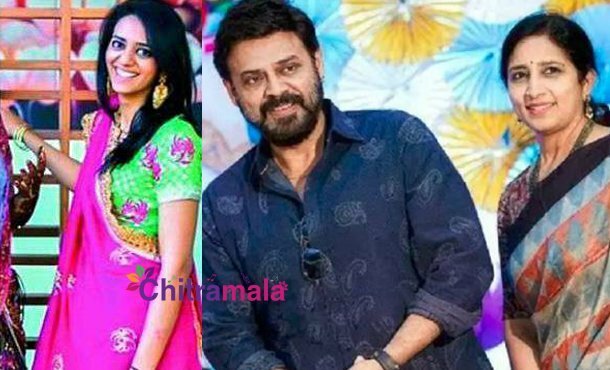 We have already informed our readers that Venkatesh is busy with the arrangements for his daughter’s wedding. His daughter Aashrita is all set to marry Hyderabad Race Club chairman Surender Reddy’s Grandson Vinayak Reddy. The wedding event is going to be a private event as both the families wanted it to happen in the presence of close family members and friends. The Daggubati family is not revealing the details of the wedding. The media is clueless about the auspicious muhurats and dates. Both the families kept all the details under wraps but they are going to host a lavish reception for the celebrities in the industry. The invitations were apparently sent to a lot of people in the Indian film industry. The fans will also be invited for the reception event. The exact date and venue will be revealed soon.